Panda Express is the biggest Chinese fast food restaurant chain in the United States. Famous for its orange chicken and chow mein, it has over 1800 locations and 27,000 employees around the world. 1. IT ALL STARTED WITH A SIT-DOWN RESTAURANT CALLED PANDA INN. In 1973, Chinese immigrant Andrew Cherng and his father Ming-Tsai Cherng used a loan from the Small Business Administration to open a Chinese restaurant in Pasadena, California. Called Panda Inn, the restaurant was so popular that it expanded to four more locations in southern California. The first Panda Express, a fast-food version of Panda Inn, opened in 1983 at the Glendale Galleria in Glendale, California. 2. PANDA EXPRESS IS STILL FAMILY OWNED AND OPERATED. Husband and wife co-founders Andrew and Peggy Cherng still own and run their privately-held company, The Panda Restaurant Group. No franchising is allowed, and the company owns and operates all the Panda Express stores (except for the stores inside universities, which are usually licensed to the university). 3. THE FOUNDERS WERE COLLEGE SWEETHEARTS. Andrew and Peggy met at Baker University in Kansas, and they later got advanced degrees (Andrew in Applied Mathematics and Peggy in Electrical Engineering) at the University of Missouri in the 1970s. They got married in 1975, almost a decade before the first Panda Express location opened for business. 4. THEY SELL NEARLY 70 MILLION POUNDS OF ORANGE CHICKEN EACH YEAR. Last year, customers bought 67.9 million pounds of orange chicken from Panda Express, making the sweet and tangy chicken dish the most popular item on the menu by far. First created in 1987, the orange chicken recipe is a closely guarded secret. What we do know is that each batch starts with frozen, breaded, boneless chicken nuggets that are deep fried before being dipped in the orange sauce. 5. PANDA EXPRESS WAS AN EARLY ADOPTER OF RESTAURANT-BASED TECHNOLOGY. Peggy’s background in engineering and software design gave Panda Express a technological advantage. In the 1980s, the company was an early adopter of using computers to make ordering in stores easier and to collect data about the highest selling items at each store. 6. THE MENU IS CONSTANTLY BEING TESTED AND TWEAKED. Andrew and Peggy’s daughter Andrea, Panda’s Chief Marketing Officer, helps oversee Panda’s Innovation Kitchen in Pasadena, California. The purpose of the kitchen is to experiment with new dishes, design, and décor. Open to the public, the Innovation Kitchen offers intriguing menu items like a honey walnut shrimp wrap with papaya slaw, orange chicken salad, and scallion pancake wraps. 7. SELF-DEVELOPMENT IS OF PARAMOUNT IMPORTANCE. Andrew and Peggy take an unusual approach to managing their employees. Panda Restaurant Group’s headquarters has motivational posters on the walls and Stephen Covey books on the desks, and the company gives its workers discounts on self-help and leadership books. Strongly encouraging everyone to enroll in “human potential seminars” like Dale Carnegie, Life Academy, and Landmark Education, Andrew hosts programs for his employees to do Zumba, hear motivational speeches, and learn self-defense skills. He also created a mandatory program for employees, The Panda Way, requiring a healthy lifestyle, continuous learning, and interpersonal relationship skills. 8. 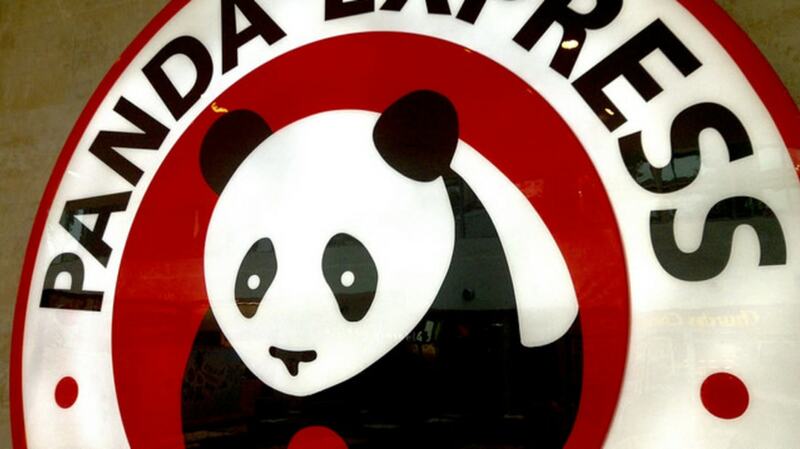 PANDA EXPRESS HAS A LESSER-KNOWN JAPANESE SIBLING. The Panda Restaurant Group also owns and operates Hibachi-San, a Japanese fast food chain that serves teppanyaki and sushi at locations across the United States. According to Andrew and Peggy, they decided to start opening Hibachi-San in malls in 1992 as a defensive strategy to protect Panda Express from competition from Japanese fast food restaurants. Instead of trying to beat the competition, become the competition! 9. THE MENU IS GETTING HEALTHIER. For fast food, Panda Express is surprisingly health-conscious. The menu offerings have no MSG added (either at Panda Express locations or by ingredient suppliers). Plus, the Panda Tea Bar is a new feature that’s cropping up at some Panda Express locations, allowing customers to order customizable teas and juices, with optional wholesome add-ins like aloe vera and chia seeds. 10. A FOOD COURT IN HAWAII IS THE MOST LUCRATIVE PANDA EXPRESS LOCATION. The Panda Express at the Ala Moana Center food court in Honolulu, Hawaii is the company’s most successful location with more than $4 million in yearly revenue. That's a lot of fried rice! 11. PANDA HAS GIVEN ALMOST $50 MILLION TO CHARITY. Started in 1999, Panda Cares is Panda Restaurant Group’s official philanthropic organization. By participating in food donation programs, asking customers for monetary donations in Panda Express stores, and giving employees the option to donate a portion of their paychecks (90 percent of employees opt in), Panda Cares has raised $48.5 million for children’s hospitals and disaster relief.